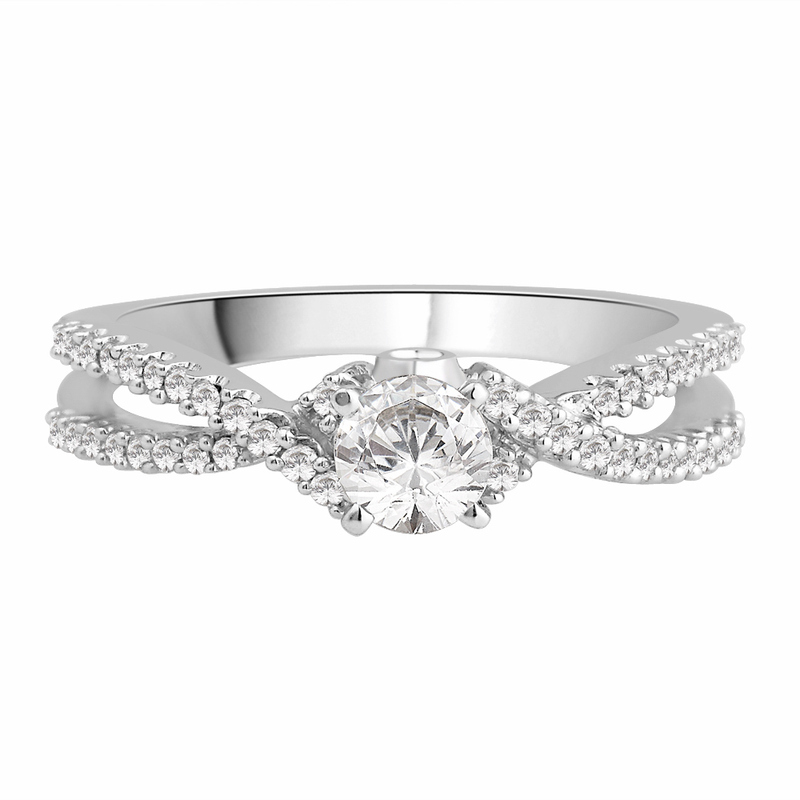 This Beautiful Diamond Crossover Engagement ring really is unique. 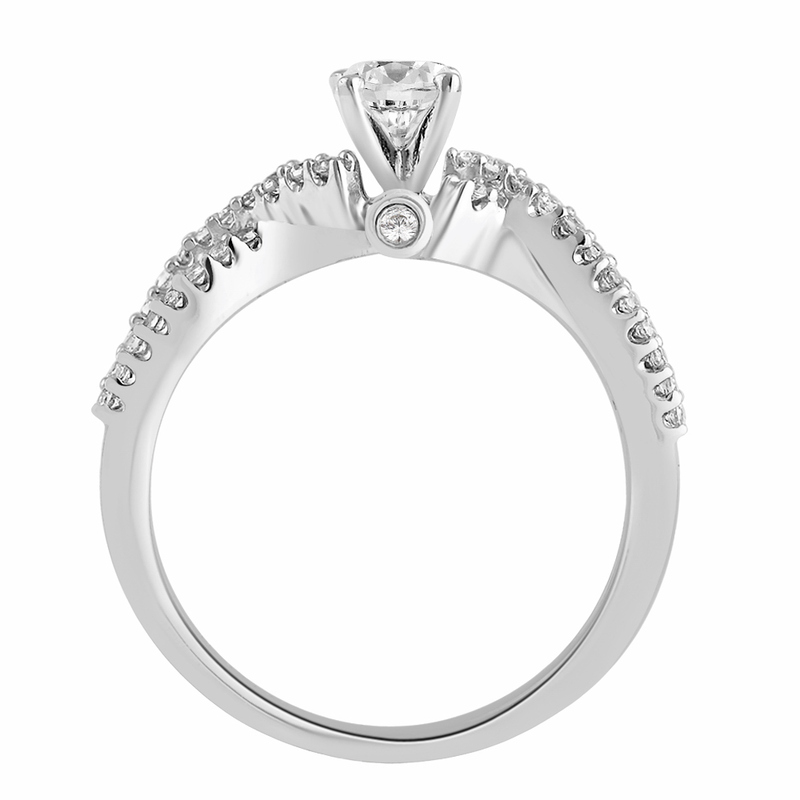 Set with a 0.40ct round brilliant cut diamond in the centre and 0.32cts of smaller round brilliant cut diamonds, this ring has a total diamond weight of 0.72ct. 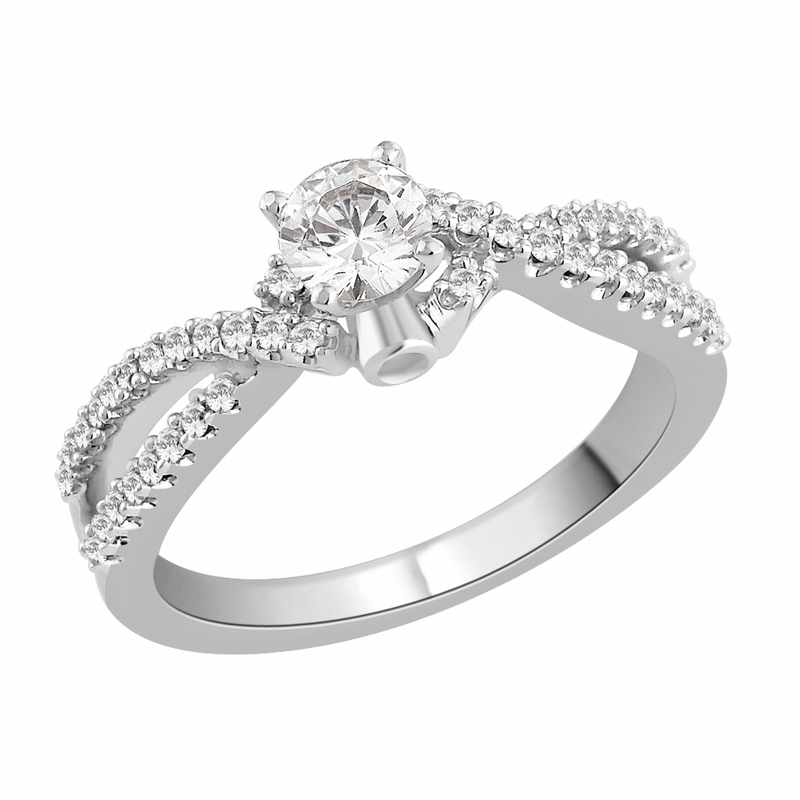 This ring is Made to order and takes approximately 5 weeks.